As we’re inching closer towards the launch of the anticipated Samsung Galaxy S10 series, information regarding the phones have been aplenty. Today, we get pre-order information about the expected three models and also a video that reveals design details of the Samsung Galaxy S10 and Samsung Galaxy S10+. The Samsung Galaxy S10 series is tipped off to go on pre-order as soon as February 21. The most premium device will offer dual front cameras, triple rear cameras, in-display fingerprint sensor, and a Snapdragon 855 processor (in some regions). held on February 21 at 2am local time (February 20, 2pm US Time/ February 21, 12:30am IST). The poster suggests that pre-orders will begin the very next day i.e., February 22 local time, which means it will still be February 21 in the US. Samsung has also started counting down to the event on its official Indonesia website, and is taking registrations for interest already. The company also notes that all those who register will stand a chance to win the next Samsung Galaxy for free. 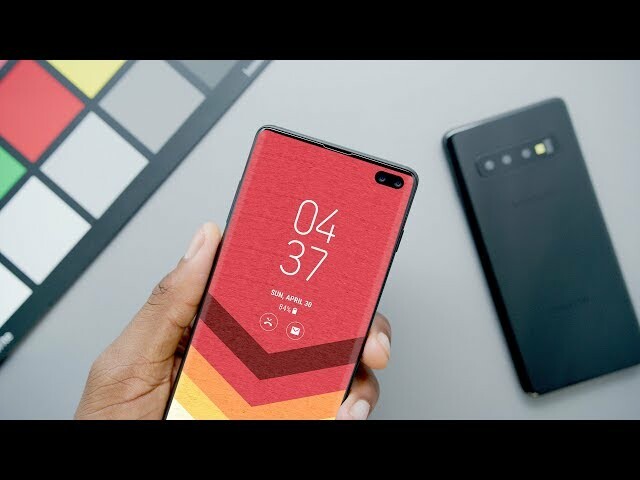 Separately, Marques Brownlee has published a video showing off the dummy models of the Samsung Galaxy S10 and Samsung Galaxy S10+ phones. The two devices are seen to sport a rather boxy design synonymous to the Galaxy Note series. The dummy units are quite similar to all the renders leaked recently, and the Samsung Galaxy S10 is seen to sport a triple camera setup at the back, a Infinity-O Display panel, and tapered edge screen. The only difference on the Samsung Galaxy S10+ is that it is a little larger than the vanilla variant, and is seen to sport dual front sensors as well. You can watch the whole video below. Samsung is also expected to launch a cheaper Samsung Galaxy S10 Lite or Samsung Galaxy S10Evariant that will sport just dual cameras at the back and come with a side-mounted fingerprint sensor. All details will be official at the event on February 20 on San Francisco. Stay tuned.